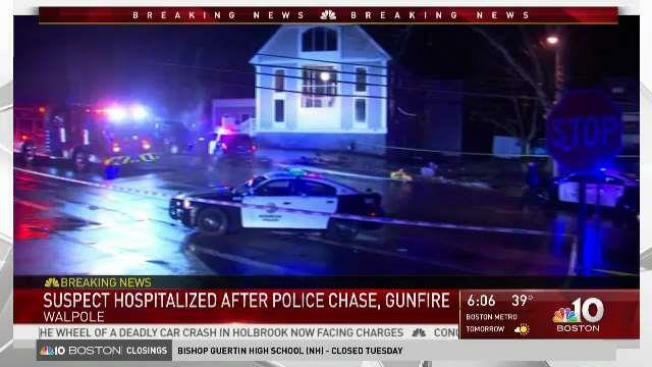 A Massachusetts man was arrested after he allegedly led police on a chase and opened fire on officers, authorities said. Thirty-one-year-old Steven Brant of Norwood was hospitalized with head and crash-related injuries and faces multiple charges, according to Walpole police. At 11:20 p.m. Monday, Norwood police attempted to conduct a motor vehicle stop on Route 1. The vehicle, which was traveling southbound, failed to yield for police and officials engaged in a pursuit. The pursuit traveled to Walpole and came to a halt when the driver, later identified as Brant, crashed into a utility pole on Kendall Street, police said. 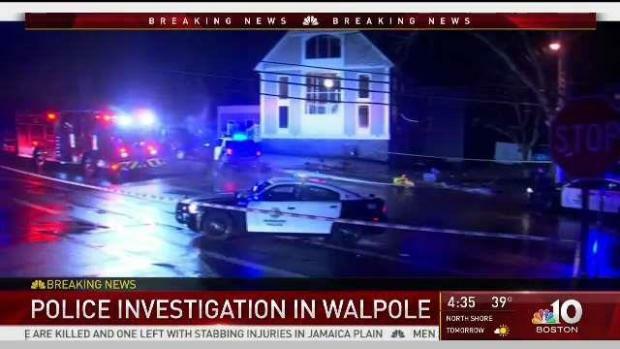 Police arrested a man who allegedly initiated a pursuit and shot at responding officers in Walpole, Massachusetts. Brant allegedly opened fire on officers and grazed his own head with one of the rounds, according to authorities. Police did not return fire and were able to subdue the suspect. The suspect was taken to a nearby hospital before he was arrested. The extent of his injuries and current condition are unclear. Officials said Brant is facing multiple charges but did not detail which ones. An arraignment date is yet to be determined and it is unclear if the suspect has an attorney.